How to take Pre-Marriage Counseling from DSWD (for Civil wedding) #PMC - Exam News, Reviewer, Military Career, & Everything [MN] . .
Pre-marriage counseling (PMC) is one of the pre-requisites before a soon to be married couple can secure Marriage License. We advise that you take PMC a month before your wedding schedule especially if you’re planning to get married in Civil wedding (Judge or Mayor). The OFFICE OF THE MUNICIPAL SOCIAL WELFARE (MSWDO) spearheads the conduct of Pre-Marriage Counseling (PMC) conducts this free marriage counseling from service Monday to Friday, 9AM to 5PM (some municipality may have different schedule). 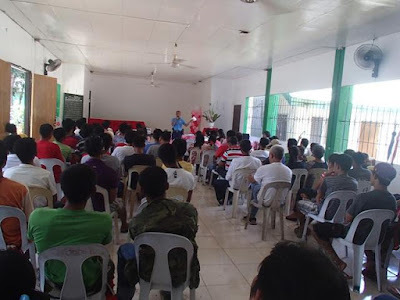 Facilitators from different agencies ( MHO & MAO ) conduct seminars. The PMC Certificate is awarded to participants’ right after the activity. The speakers will usually tackles and shares about marriage life expectations, family values, family planning, household budgeting, and inspiring personal loves stories that you pick real-life changing lessons. Prepare at least 50 pesos payment for the clearance. Is proxy allowed to attend in my part? The seminar would be really beneficial if the actual couple would attend but just in case of emergency you can have someone as you substitute since DSWD doesn’t requires an ID to the participants. We advise you to go there early, know your partner’s personal background and be discreet. Can I attend half day? No. You won’t get your clearance. Is this guide needs improvement or want to suggest something better? Drop us a comment below.